(CBS/AP) BALTIMORE, Md. - A patient in a Maryland state mental hospital for murdering his psychiatrist in 2006 is now accused of killing his roommate. Vitali Davydov, a 24-year-old Gaithersburg man, reportedly emerged from his room Friday afternoon and asked a security officer for help. The staff then discovered his roommate, David Rico-Noyola, on the floor. Police spokesman Greg Shipley said the medical examiner in Baltimore ruled the death a homicide on Saturday. Rico-Noyola was found bleeding, with many injuries including blunt force trauma to the head and upper body. He was later pronounced dead by an emergency room doctor. They are still trying to figure out the cause of the other injuries, but authorities say the trauma to the head was most likely Davydov's doing. Nurses had been in to check the men's room 30 minutes before the alleged murder took place, and reported no unusual activity. Police apprehended Davydov and he was charged with first and second degree murder and returned to the psychiatric hospital. Davydov was originally admitted to the state psychiatric hospital for beating his psychiatrist to death in 2006 in his Bethesda office. In 2007 he was found guilty, but not criminally responsible for the murder. Davydov was a schizophrenic patient, and supposedly killed his therapist after thinking he had asked to be killed. A judge had him moved to the maximum security hospital until he could no longer be considered dangerous, reports the Washington Examiner. The victim, Rico-Noyola, was also in the maximum security wing for murder. He was charged in 2008 for the death of his mother, Ofelia Noyola-Monrroy, but was found incompetent to stand trial. 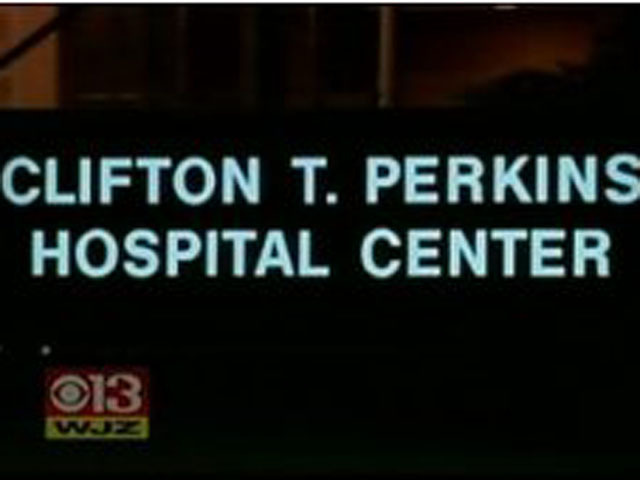 This killing comes only 13 months after the only other Clifton T. Perkins Hospital Center murder in its 50 year history. Soundani El-Wahhabi, also known as Saladin Taylor, allegedly killed another patient, Susan Sachs, in the medium security wing in September 2010. The hospital went under review after Sachs' death last year, said W. Lawrence Fitch, director of forensic services for the state's Mental Hygiene Administration. There has been an update in security systems and hall monitoring since then. The 230-bed facility is currently undergoing another review because of the recent slayings. Fitch says, "The last one was the first in its history, so this is very disturbing. "Perkins is reserved for patients with violent histories and violent charges. It's a tough place, but it has a terrific track record, but for these cases."